This is one of the few books I'd advise people to buy in abridged form, as there's whole sections that seem to have little to do with anything and that don't advance the plot much. Over and over again, too, you'll realize six or seven minutes have passed and the story is still discussing the same point from several minutes ago. That said, I liked parts of the book and characters and plot and moodiness of it in places. 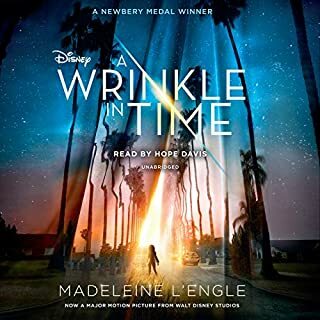 What was very hard about this book was listening to the narrator. The modulation in his voice seemed to rise and fall even within single words and I was constantly, and I mean constantly straining to hear what he was saying. It didn't matter if it was on my iPhone with the app, in the car through the car stereo, or projected over to a smart speaker or what, I simply couldn't hear the guy well, or I was, and then the volume would dip to a near whisper. It was such a non-stop strain I started looking for other versions of the book I'd already bought to try them. 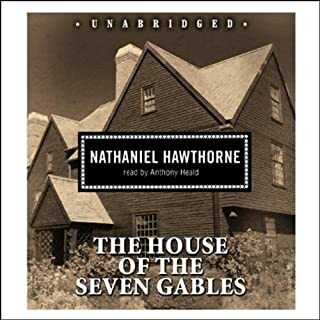 I'm glad I read the story finally, but I've got hundreds of books from Audible and have never run across a single one that was such a strain to listen to from beginning to end. I lasted about three hours before realizing nothing about this resonated with me or amused or enlightened me in any way. I was surprised because I've enjoyed Parker Posey for years, and everyone loves her, from coworkers in New York who ran into her shopping, to a nearby friend who had a yard sale she showed up at in San Francisco. That person and the actress so many of us admire simply doesn't translate to the page. I expected this to be fun. It wasn't. Okay. I hung in there a little longer to see and try to judge the book she actually wrote instead of the one I imagined and looked forward to. Nothing ever "took off on the page" here and after three hours I decided simply to return it. Parker Posey is a pleasure to watch on the screen, but if her skills translate in any way to the realm of writing, it's lost on me here. I still wish her well in everything she pursues. Perhaps she'll hit he stride with a followup one day. I finally read this (in my 50s). It's a strange mix of sophisticated ideas (which I liked) and characters only a child could embrace with any willing suspension of disbelief (which I didn't). I have zero interest in seeing the film after reading this. If I were between kindergarten and third grade it would have been alright, but the same sophisticated ideas with believable characters (and character names) would have made this something special, which it's not. Dominick Dunne revives the world he first introduced in his mega-best-selling novel People Like Us, and he brings readers up to date on favorite characters such as Ruby and Elias Renthal, Lil Altemus, and, of course, the beloved Gus Bailey. Once again, he invites us to pull up a seat at the most important tables at Swifty's, get past the doormen at esteemed social clubs like The Butterfield, and venture into the innermost chambers of the Upper East Side's most sumptuous mansions. This was published posthumously and really could have used a good final polish. Bits of information are repeated over and over, but the worst is that every character refers to a particular person as &quot;the male nurse.&quot; Even a female nurse refers to him as a &quot;male nurse,&quot; which just wouldn't happen in life. The appeal of Dunne's writing is often recognizing the real life people and events he's fictionalizing, but this isn't the best of Dunne's work by a long shot. It might have been if he wasn't aged and in failing health and rushing to finish it before he died. 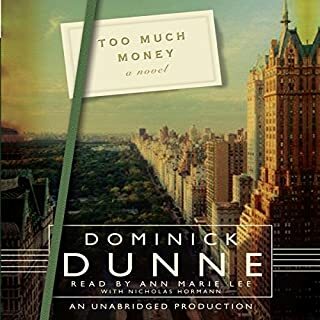 The story's more memorable simply for the feel of it and all the little details about the lives of the ultra rich Dunne sprinkles throughout, rather than the overall narrative. The story's unmemorable and there's not a single really compelling character, so overall this is a mediocre effort in the end. You can easily skip it without having lost anything from your life. 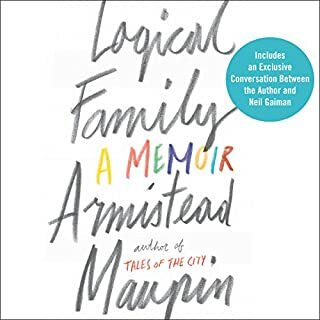 I've read all of Armistead Maupin's books over the years, enjoying some much more than others, finding some absolutely delightful, and some wildly uneven. This account of the author's life kept my attention, and introduced me to a side of his early life I could barely imagine given the difference in our ages, but it glosses over areas of his life I know about, relationships, and events, and then (worse) comes to an abrupt halt with an account of his last meeting with his father. It literally ended (with years and years uncovered) and then said &quot;Epilogue,&quot; at which point Maupin read his famous coming out letter for Michael Toliver, and then an interview followed with Neil Gaiman. What's the rush? I would have much preferred the author was thorough and didn't gloss over so much of his story, and all I can think is he and his publisher are leaving room for a followup. I was satisfied with the content, but disappointed with the abrupt end to it, and overall I was left disappointed. This recording contains four of Katherine Mansfield's best stories. In The Daughters of the Late Colonel, two sisters are recently bereaved; while in Her First Ball a young girl attends her first dance. The Singing Lesson features Miss Meadows, a music teacher in turmoil; and in The Stranger, a middle-aged couple are reunited. I don't know why this is entitled The Garden Party, as it doesn't contain that particular story. It apparently contains The Daughters of the Late Colonel, Her First Ball, The Singing Lesson, and The Stranger. I was interested in this because of the narrator but I particularly wanted to listen to The Garden Party, and was confused for over an hour (there was no garden party), so a little Net research told me I was listening to The Daughters and the Late Colonel and that The Garden Party has completely different characters and subject matter. 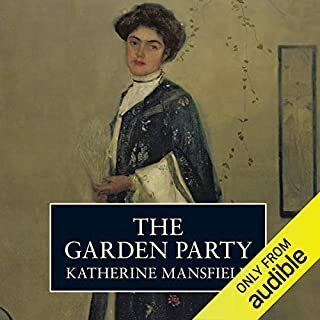 The title is (apparently) intentionally deceptive, and though I like the narrator and would have been interested if this included The Garden Party, I decided to return this book to Audible and not to reward the publishers' trickery. 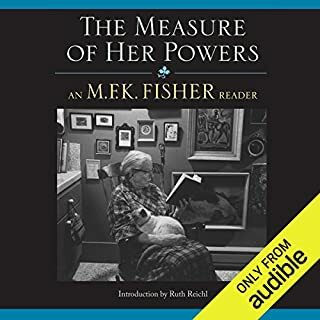 Gathering journals, letters, translations, and selections from her many books, The Measure of Her Powers showcases Fisher's versatility, providing new listeners and loyal fans alike with a sampler from her wide-ranging body of work. M. F. K. Fisher is a perennial literary favorite. Her evolution from an uncertain young woman to a feisty elder with opinions about everything continues to fascinate listeners who understand the complexities of life's hungers. The narrator on this is overly gushy and unnatural in her reading, and because it's M.F.K. Fisher's words and Fisher was nothing like this in her style or speech, it was impossible for me to continue for long. You're far better off reading this yourself than listening to this woman who uses her voice like a gushy rollercoaster, over unnatural highs and lows in a way that speaks of an amateur, not Fisher or her life. Other than that, no complaints. The story's okay (compiled from other Fisher writings). Any of those would serve you better. 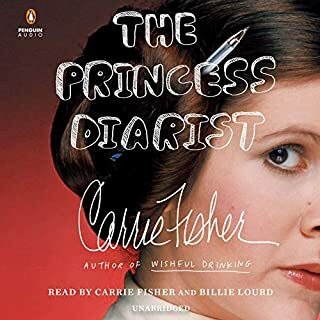 I enjoy Carrie Fisher's work, but this was rather hard to listen to and just went on and on and on about a very minor affair that should have taken five minutes to gloss over. I wish Carrie Fisher every success and happiness in life with her next project. This one is perhaps her only "off" work to date. Anything else she's done I highly recommend. From what she was talking about to how it was delivered, this was a disappointment and chore to get through, alas. The narration was well done. It's well researched, insightful, and well written. If I have one criticism it's with pronunciation of some of the names of people. Pierre Franey's last name is pronounced to rhyme with Rainy rather than rhyming with Fan-Bay. Dione Lucas is pronounced as Dee-Own when it should be Dee-Oh-Knee. And so on. Overall, highly recommended. 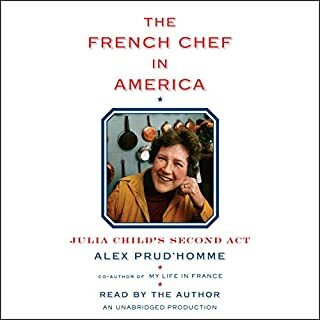 It was a pleasure to listen to from beginning to end, and a fond remembrance of many of the events in Julia's life and memories of our own revisited along the way here. Catherine Schell has lived a life more dramatic and colourful than any of her many acting roles. Her story sweeps from her birth during an Allied bombing raid in Budapest to life under postwar Russian occupation, escape, and life as a refugee in Austria; a strict convent school life in America; and on to Germany, where she became an actress. 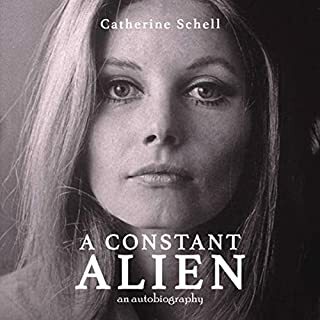 Having been a fan of actress Catherine Schell since the mid-1970s, the book I was expecting paled in comparison to the supreme accomplishment Ms. Schell delivered. While her professional exploits and stories of her cast members and so on were wonderful, classy, and dignified, the real draw here was a complete surprise. Ms. Schell's life is fascinating, from her childhood with the family escaping the Nazis to the present day. Highly, highly recommended, and a real pleasure to hear the actress narrating her own story. Regal class and elegance. Those qualities have always surrounded Ms. Schell, and they're here in abundance. Reading the book would be wonderful, but hearing the book in Ms. Schell's own words and voice added so much to the experience. Sadly, many will never know the bounty we have here. They may not know the actress or her work, but her life story alone would be a fascinating read for anyone.